Back in 2017, Portuguese forward Gabrielzinho's contract with Rio Ave FC (Portugal), the club he is still a member of, took effect. At present, Rio Ave FC is in fourth place in League Cup (Portugal) (group Gr. A), while in Primeira Liga (Portugal) they are in ninth place. Gabrielzinho had 23 match appearances this season. With a height of 1.71m, he undercuts Rio Ave FC's mean tallness by 11. Since he came into world in 1996, to be more precise March 29th, the forward is two years younger than Rio Ave FC's average player. Gabrielzinho reached the 35 appearances milestone as a professionl, the last one being twelve days ago. He is enjoying a great Primeira Liga 18/19 (Portugal) season so far, netting three times (8.3% of his team's sum) and initializing one goals. This leads to roughly 0.04 assists and 0.13 scores per match in the resent season. One could say he translated to a slightly improved form compared to last year. Altogether, he was substituted in 21 and out 9 times. Currently, he entered the pit more than he left it which holds true for last season as well. Gabrielzinho wears the number 26 strip at Rio Ave FC. 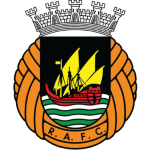 Before joining Rio Ave FC, he was not engaged in the squad of another professional team. In his footballer career, a total of three cards were ascribed to Gabrielzinho. While thus obtaining an average of 0.5 cards per term, he has not even gotten any yet, for now. He is playing as forward in Rio Ave FC together with Ahmed Said, Ronan Jeronimo, Nuno Santos, Wenderson Galeno, Andre Ricardo Ferreira Schutte, Jose Postiga, Murilo Freitas, Bruno Moreira, Gelson Dala, Carlos Carvalho and Andre Silva. So far this season, he lost 67% in League Cup and lost 50% of Rio Ave FC's matches in Primeira Liga. Unfortunately they did not manage to wrap up a single fixture, but at least tied once. Primeira Liga 18/19 (Portugal) has been Gabrielzinho's best season so far since he reached both his personal highest amount of goals and played matches. Weighing 141.09lb, he measures 25lb less than the average player on Rio Ave FC.